SMPlayer media player reached the 17.12.0 release earlier today with enhancements. 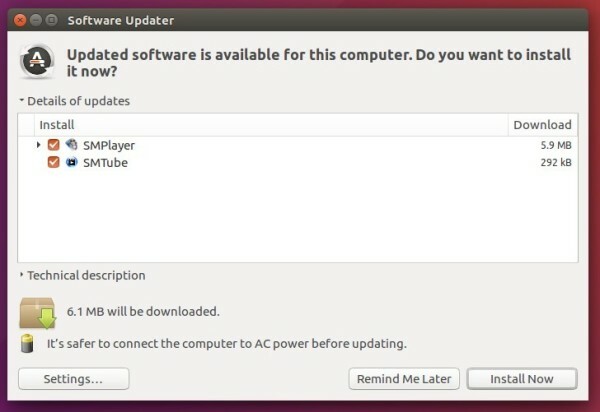 Here’s how to install it in all current Ubuntu releases via PPA. Two new actions to take screenshots with or without subtitles (only work when using mpv). Assigned by default to Ctrl+Shift+S and Ctrl+Alt+S. New action which displays the filename in the OSD for 2 seconds. Assigned by default to Shift+O. New option osd_bar_pos for smplayer.ini. It specifies the position of the OSD bar (0 = top, 100 = bottom). The support for DVD menus has been removed. It never worked well and also mpv already removed support for it a long time ago. The option to open an informative page after an upgrade has been removed. For Ubuntu 14.04, Ubuntu 16.04, Ubuntu 17.04, Ubuntu 17.10, and derivatives, the latest SMPlayer packages are available in the PPA repository.